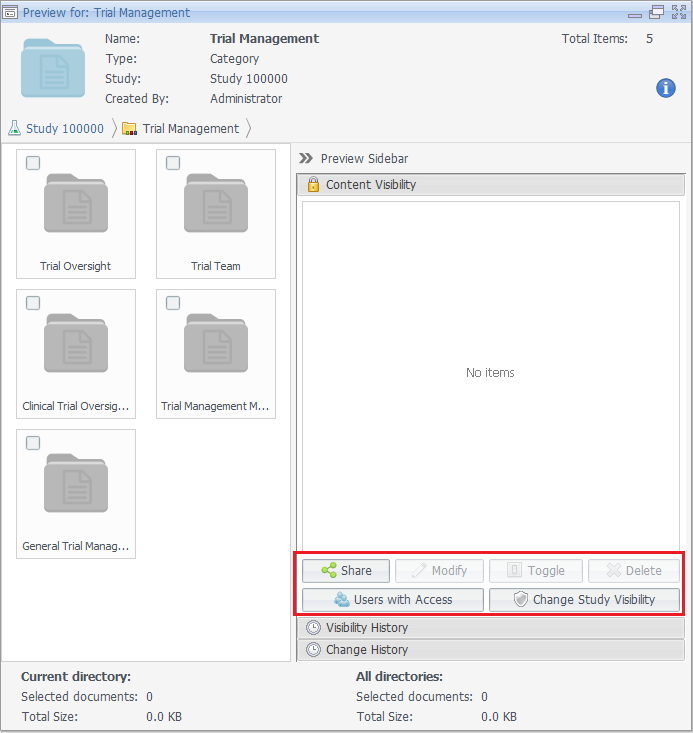 Select in Document Navigator the root folder of a Study (to grant full access), a Category, Sub-Category or Content Type folder then go to Preview Sidebar in View View. 2 Click on the Share button to set the visibility settings. 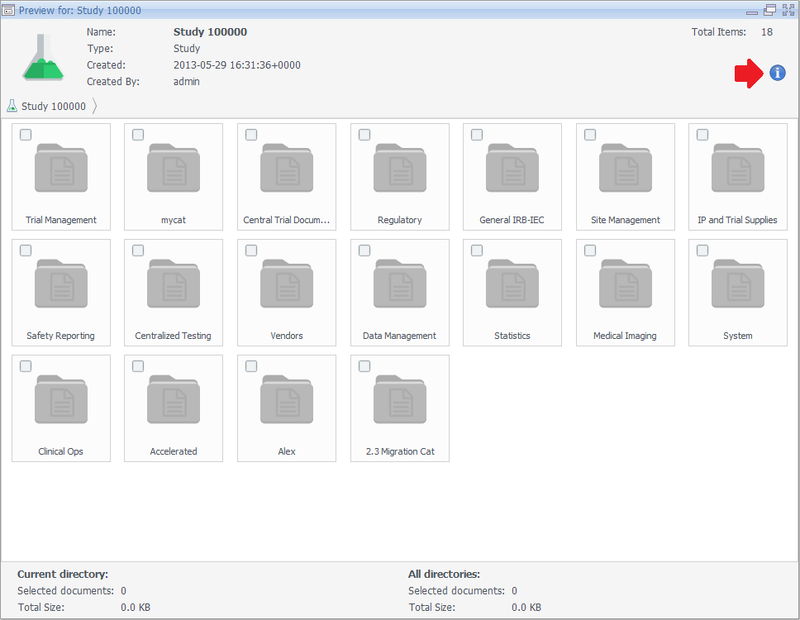 If you wish to grant user access to specific documents, then select them in Document Navigator (in View Mode), right click on any of these documents and select Share Content. This will also transfer you to the step below. 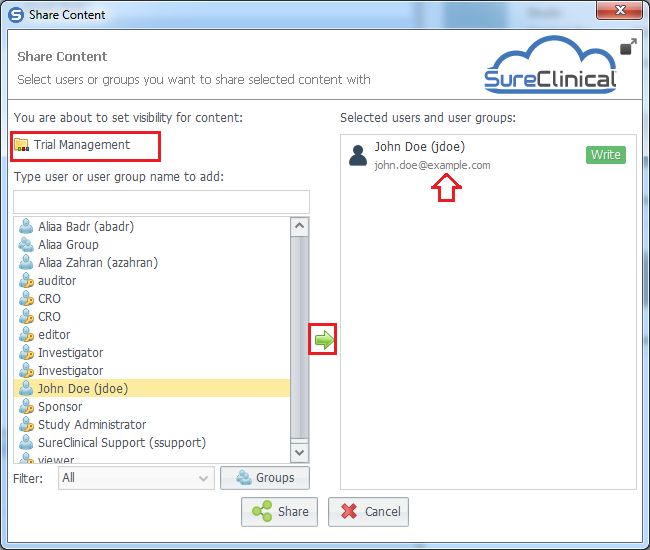 3 In the displayed dialog, select user, group, and/or role you wish to specify their visibility settings and add them to the right panel using the green arrow. After you finish your selection, click Share. 4 After you have successfully added a content visibility setting, you may modify it, temporarily or permanently revoke it, or view users within a specific visibility setting by selecting first the user, group, or role then click Modify, Toggle, Delete, or Users with Access displayed at the bottom of the preview sidebar.